It was a massive save, in the context of how the game unfolded – and it was a massive save, in the context of the player’s employment. 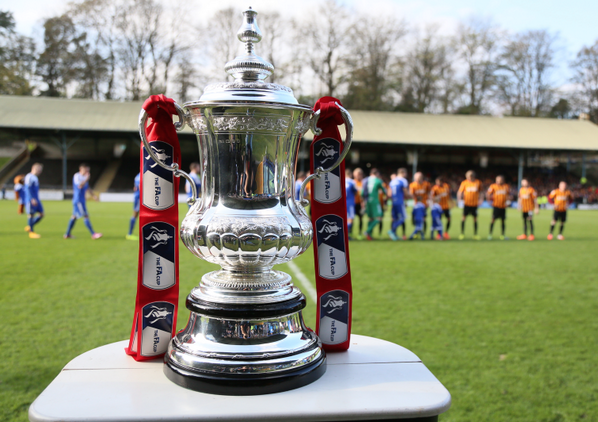 Halifax Town were a goal to the good in the FA Cup against Bradford City, and had their near-neighbours on the ropes. Midway through the first half, a cross was floated perfectly onto their defender Steve Williams’ head. The former Bantam must have believed he was about to take the headlines, but his powerful effort was superbly saved. Had it gone in, a 2-0 deficit would have been a mightily big ask for Bradford City to come back from. Instead, the visitors were able to recover from only being a goal behind to defeat the Shaymen. Steve Williams’ namesake – Ben – was the goalkeeper who pulled off that impressive, game-changing save, and it is safe to say that no Bradford City player who featured that day had more to lose than the 32-year-old. An exit from the FA Cup could have signalled the beginning of the end to Williams’ time at Valley Parade. The phrase “concentrate on the league” would have carried hollow words to the Mancunian, given what it would signify to his first team opportunities. For the former Hibs goalkeeper has this season taken on the role of Bradford City’s cup keeper, and as such is keener than most to ensure that his employers don’t crash out of all three competitions. Thanks to Sunderland’s decision to not allow Jordan Pickford’s loan season at Valley Parade to include cup football, City have required a second goalkeeper to play a prominent role. Williams has featured in all of the Bantams’ League Cup and FA Cup games. Halifax could have proven his final afternoon between the sticks for City, but his vital intervention has prolonged his relevance longer. Dartford, this weekend, could now be his last game – or it could prove the springboard to a more permanent deal. As it stands, Williams’ contract runs out at the end of this month. Third-choice stopper Matt Urwin is waiting in the wings and benefiting from the security of a longer deal (he is here until the end of the season). If City are to bow out of the FA Cup before the end of the year, there is every chance that three goalkeepers would be reduced to two in January. Williams would be the man to lose out. Get past Dartford, and expect Williams to be handed another deal – albeit a short-term one – so that he can figure in the FA Cup third round, which takes place on 3 January. Should City find themselves on the wrong side of a giant-killing this Sunday, then that might be it for Williams. The stakes are clearly very high. Of course, all of this is to assume that Williams would want to stay longer at Valley Parade. Having made over 400 career appearances and achieving at least 30 starts per season since the 2005/06 campaign, this year represents an unexpected fall from grace, as Williams endures a spell on the sidelines. Williams was on the books at Manchester United as a kid, and after several loan spells found a happy permanent home at Crewe Alexandra, where he made his name. From Gresty Road it was to Carlisle for a season, and then Colchester for three years. And then it was a move to Hibernian and the Scottish Premier League, where in his first season at least he excelled. In 2012/13, followers of the Edinburgh club voted Williams their player of the year. It was a season where Hibs finished mid-table and reached the Scottish Cup Final, earning them a tilt at Europa League football. 2013/14 was a different story, as Hibs’ disastrous second half to the season saw them relegated, which resulted in Williams and others being let go. But still, 80+ appearances for Hibs underlines the pedigree that Williams possesses. It was a shock that he struggled to find a club in England during the summer, and in the end he accepted City’s short-term deal. Being pragmatic, perhaps Williams views his status as Bradford City cup goalkeeper as one that keeps him in the shop window. After all, two of those five appearances were high profile games shown live on TV, and he didn’t disappoint in either. If you’re a League One or Two manager needing a goalkeeper in January, who happened to tune into BT Sport’s broadcasting of the Halifax game, Ben Williams’ name might have been added to your list of targets. Jordan Pickford’s form for City has been outstanding. The Sunderland keeper has recovered from a shaky debut to produce a string of impressive performances, and there has even being tabloid talk of Manchester United showing an interest. Parent club Sunderland have had their goalkeeping problems this season, but have so far shown no inclination to recall Pickford. At 20-years-old, Jordan is not yet ready for the glare of the Premier League, but is evidently on the path to make it in the top flight. Which has meant there has been no sign of a look-in for Williams, beyond the cup games that Pickford is barred from featuring in. Unless Pickford is recalled or injured, this situation is unlikely to change between now and May. For Parkinson and Williams, there is a question mark over whether to continue with this arrangement or to shake hands and part ways. When he has figured, Williams has quietly impressed. His save from Steve Williams in the Halifax game was clearly his stand out moment. In truth, during the three League Cup games he had very little to do. A clean sheet at Morecambe in a game City that sneaked through; the Matt Smith goal he conceded in round two was Leeds United’s only shot on target; whilst at MK Dons the two that got past him were expertly taken goals that he could not have been expected to prevent. In all other areas of his game, Williams has looked solid. There are no issues with dealing with crosses, no problems with his distribution. Privately, Williams must be ruing the fact that he hasn’t experienced an afternoon like the recent league match at Preston, where Pickford was kept extremely busy and was handed the platform to impress through the number of saves he was forced to make. It is difficult to form conclusive judgement on any goalkeeper after only four outings, but Williams has been slightly unfortunate that in the four games he has played there wasn’t a great deal of goalmouth action to allow him to demonstrate his ability. Dartford, this weekend, might be different and he is kept busy, although something will be going wrong with City’s performance if that is the case. On paper at least, the Bantams should win and win well, with Williams given little to do. And the reward will be a place in round three of the FA Cup and all manner of possibilities, as the big guns are added to the hat. Williams is a talented and accomplished player to have as a number two, and in other circumstances could have a shot of making it as a number one at Valley Parade. For Parkinson, the question over whether to keep Ben longer will depend on if the manager views him as a long-term successor to Pickford. He could spend the rest of this season largely sat on City’s bench, watching Pickford with the rest of us, and step into the breach next season when the Sunderland man returns to Wearside. Or Parkinson might have other ideas for his number one in 2015/16, and therefore cannot offer Williams anything more fulfilling than back-up once more. Whatever future lies in store, you hope Williams can revive his career. He deserves three or four seasons playing as number one for someone in the Football League, and if that option becomes available in January or next summer he must take it – whether it is Bradford City or someone else providing that opportunity.